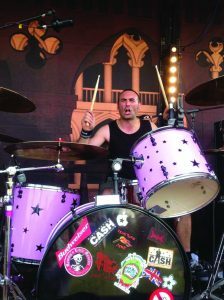 They’re all ready to rock in Bodham as its charity music festival gets under way at the weekend. Rock Bodham will be held at the village playing field on Saturday, July 22, and the village’s Red Hart pub on Sunday 23rd. Britpop covers band The Stereotypes, local bands Generals and Soul Alliance are among the bands to have been confirmed alongside DJ’s Naughty Daughty and 2016 Sheringham battle of the bands winner Liberty Popey. The headline acts are Bloodshake Chorus on the Saturday and, on Sunday, Red Leaf. On Saturday, alongside the live music which starts from 1.30pm, there will be a children’s entertainment, stalls and fete games, bouncy castle and circus skills for the afternoon. There will be a licenced bar and barbecue all day and into the evening as well as a raffle on both days. The event gave away more than £3,000 last year to a range of local charities and has given away more than £15,000 since its inception in 2012. Tickets for Saturday are £5 for adults and £1 for under 12s. Under threes free. it’s free entry to Bodham Red Hart on Sunday, donations taken on the day. This entry was posted in Cromer, Holt, Home Page, Sheringham and tagged coast, festival, Holt, music, Rock Bodham on July 18, 2017 by Gay Webster.